There are some people who just listen to music, but there are some creatures that live, eat and die on music. This young artist certainly belongs to the later category. As one of CHANDIGARH's most respected industry figure, 26 years old DJ R-NATION has been spinning tunes from last 12 year. DJ R-NATION was born in CHANDIGARH on 9th February and he always had a real passion for music. As a teenager he started collecting every kind of music. In secondary school his DJ adventure began when he started spinning private parties. DJing has always been a passion for him and he was exposed to musicality from very young age. He started playing Music Instruments from 2nd Standard. He started his career from very low level. Worked for local sound providers and understood the working of working of consoles. At the age of 13 he started playing for private gigs, Inspired a passion for electronic music and an ambition to make a career in this fascinating, elusive little world, but that wasn't enough for him. He always wanted to make it Big. 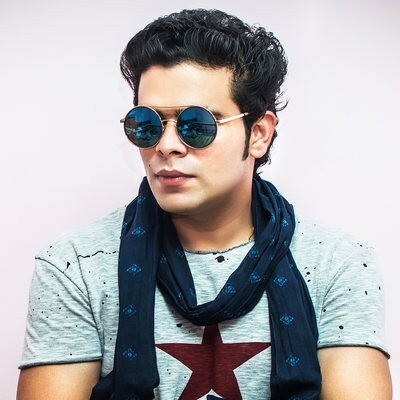 R-Nation entered into professional DJing at the age of 15 and since then he has rocked some of the high-quality parties in all over India and his tunes and considered to be the most energetic and danceable around. Having a passion since childhood for music, he started spinning at tricity Clubs to get to know more of advance level of DJing, As a DJ he like of love all kind of music but prefer playing ELECTRONIC, DUBSTEP, TRAP, DEEP HOUSE, PROGRESSIVE HOUSE, BIG ROOM & COMMERCIAL HOUSE !! Presently he is working as Freelancing artist and available for Bookings with exclusive price at AIDC.